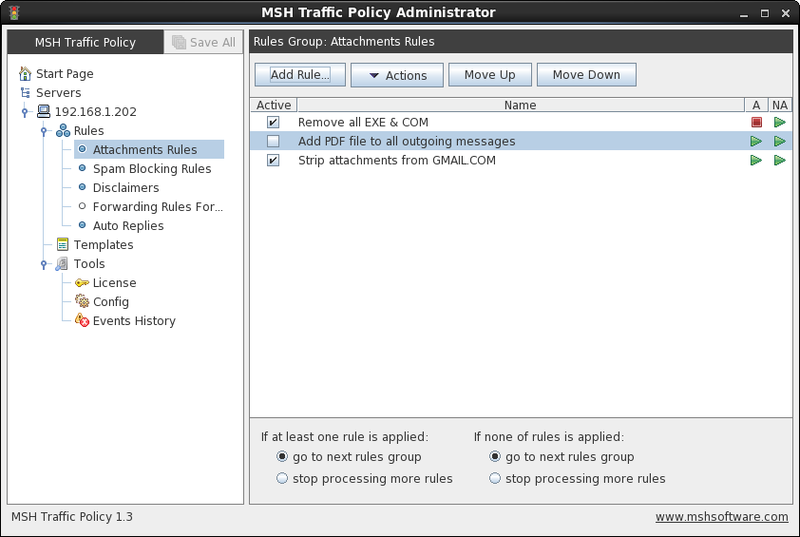 MSH Traffic Policy for Postfix, Zimbra and Sendmail is sophisticated email management system that allows to set server sided rules for automatic content control and flow administration. Application works as external standalone mail filtering plugin which integrate with MTA through official and standardized Milter API. Integration is done before mail is queued, so it can be used to filter spam and manipulate message before it hits your mail server. Desktop application is flexible and powerful tool which gives many advantages for administrator comparing to manual scripts editing. It can run on Windows and Linux desktop. 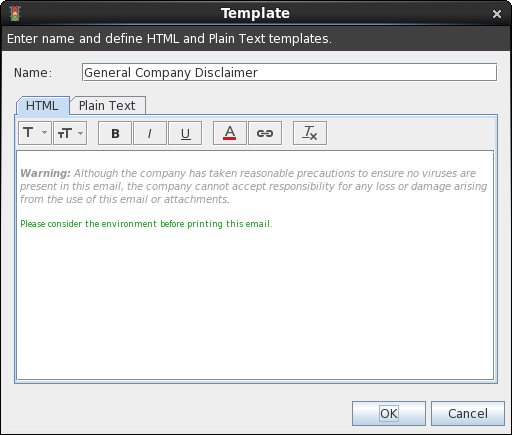 Blocking messages and many other actions can be executed based on message properties (like subject, sender etc.) 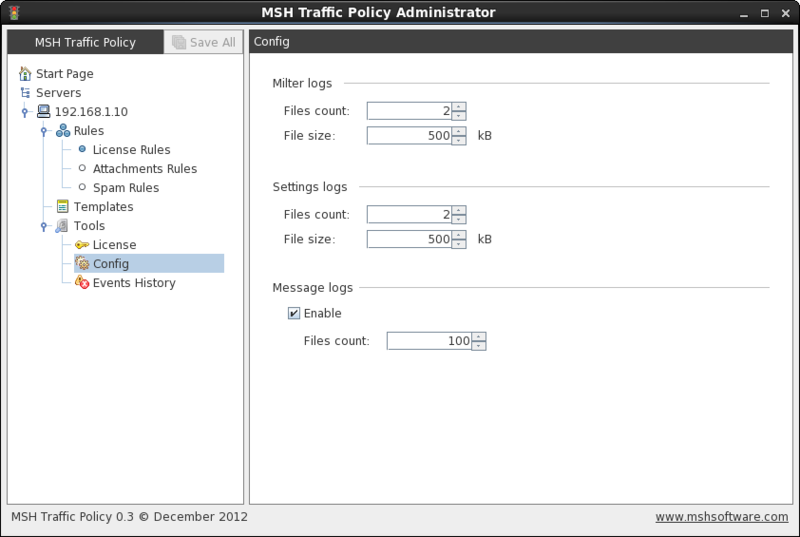 and mail server environment values. 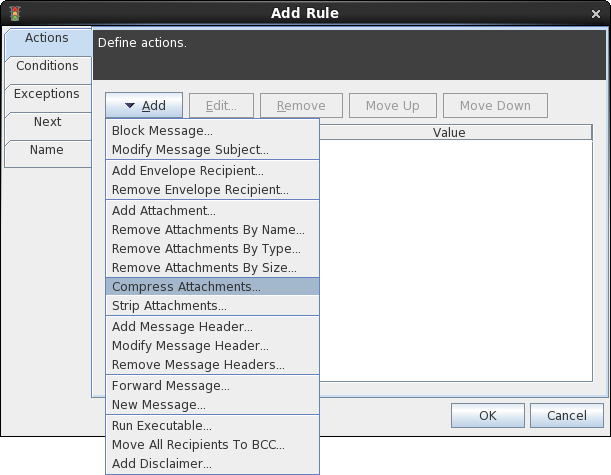 Add, remove, modify sender and recipients of the message or even move all recipients to BCC field. 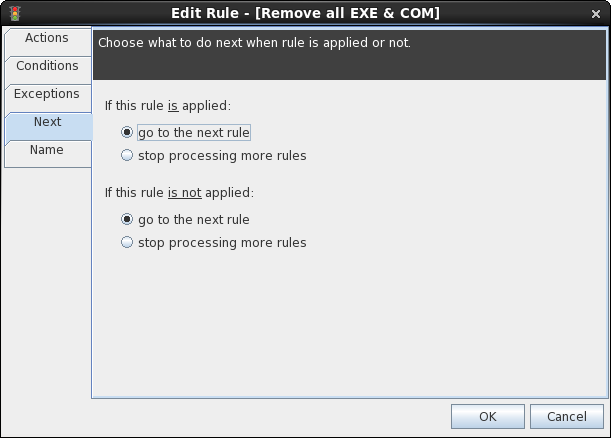 Remove recipients from TO, CC and BCC fields. 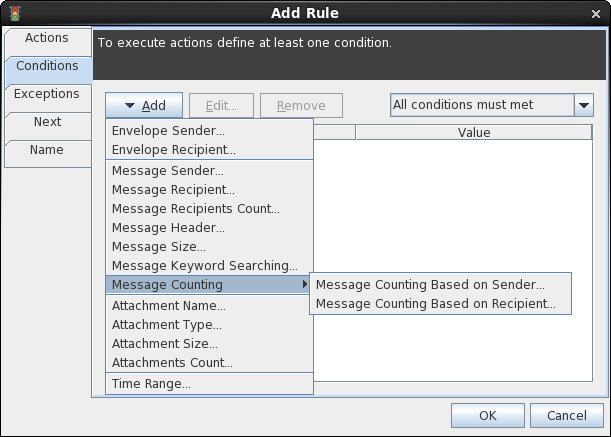 Count messages based on sender and recipients, this will give limit capabilities for specified users in defined time period. 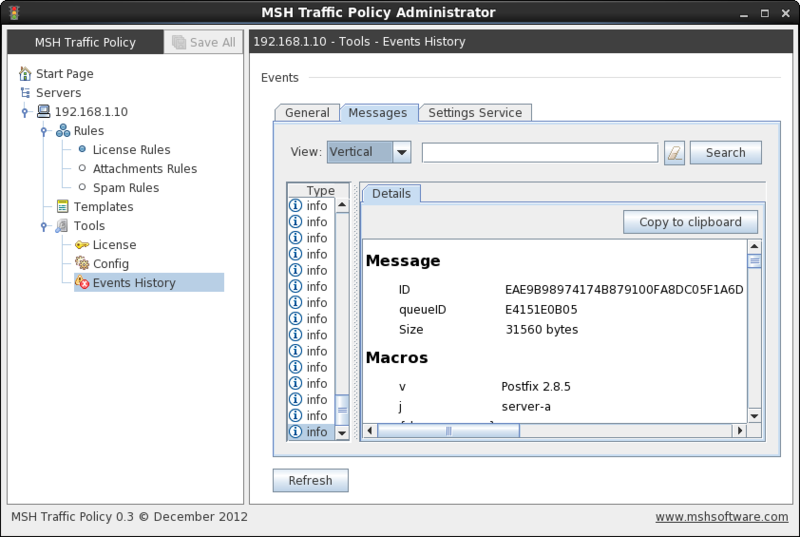 MSH Traffic Policy is licensed on a per server basis for Postfix and Sendmail. You need to purchase a license for each server that the product will be installed on. 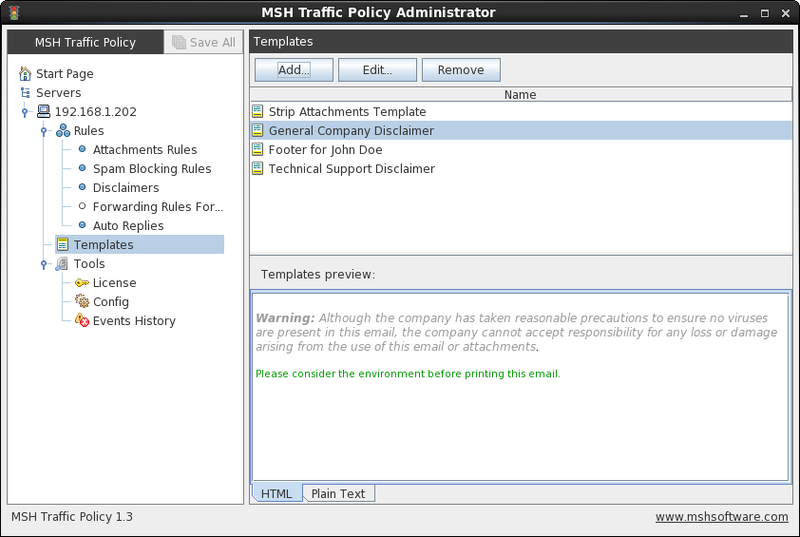 After purchasing MSH Traffic Policy license, the license activation key is sent by email with instructions on how to apply it. Click the following link to open MSH Traffic Policy documentation. After installation application will be working in demo mode. Each e-mail message (which was processed by the application) subject will be shuffled. 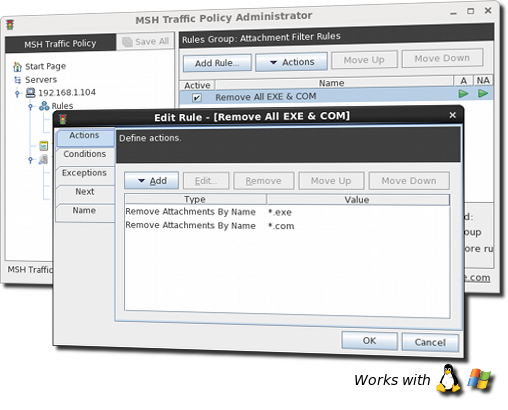 Existing rules aren't active, so application will not modify any message.